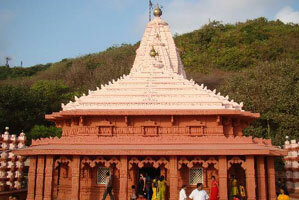 This is Ganapatiphule Land of the 400- year old Swayambhu ganapati and eager tourists. 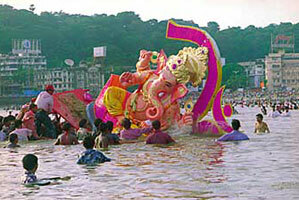 Set along the western coast of maharastra, is a small little village called Ganapatiphule. It is known for it's scerene sedate beach. Maharashtra, a state where a millennium of culture weaves a tapestry of myriad charms. Haji AliThe spiritual solace of centuries. The sylvan serenity of the countryside. 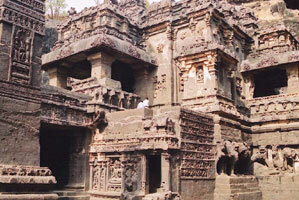 The cave temples and monasteries at Ellora, excavated out of the vertical face of an escarpment, are 26 kms. north of Aurangabad. Extending in a linear arrangement, the 34 caves contain Buddhist Chaityas, or halls of worship, and Viharas, or monasteries, Hindu. 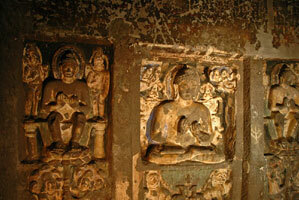 Ajanta the finest examples of some of the earliest Buddhist architecture, caves-paintings and sculptures, these caves comprise Chaitya Halls, or shrines, dedicated to Lord Buddha and Viharas, or monasteries.